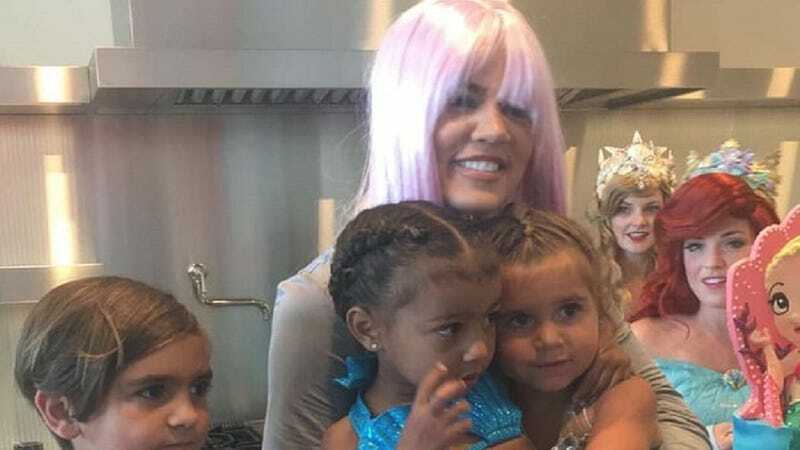 I have crawled out of my Orange is the New Black season four k-hole to let you all know that North West and Penelope Disick had a joint birthday party this weekend, and the attire was strictly fins and tails (i.e., mermaid-themed). Obviously, what I’m most interested in is the fact that each birthday girl got their own cake. Mariah Carey has finally spoken out about her ex Nick Cannon’s rap track “Divorce Papers”—a track most have agreed is not, um, great—expressing her surprise over claims about the custody over their two children that don’t appear to be based in reality. Our sources insist Mariah and Nick have gotten along extremely well, especially in the child custody department. They say Mariah has never denied Nick access to the twins and Nick has always been able to see them when he wanted. Update (5:02 p.m. EST): This post originally misidentified Khloé Kardashian as Kourtney Kardashian.